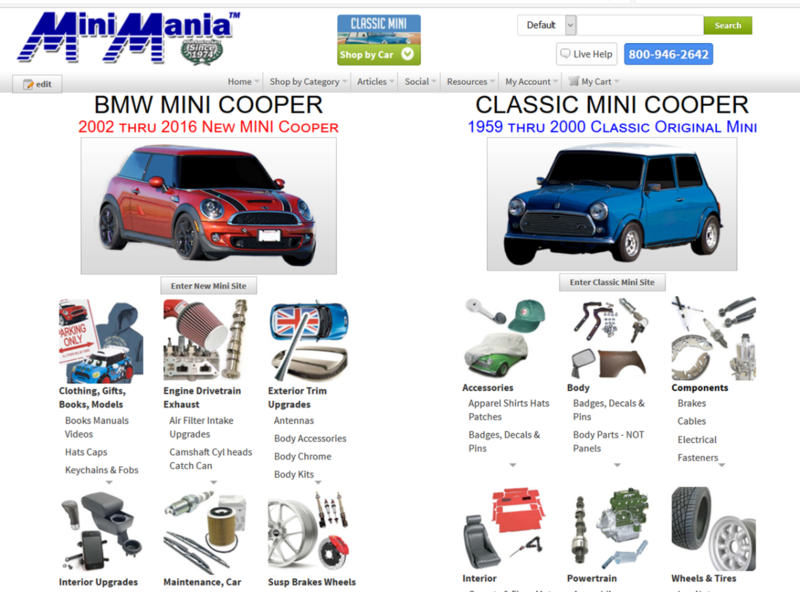 MiniMania.com Celebrates 20 years of Internet Sales in 2016! 1994 The World Wide Web Consortium is founded by Tim Berners-Lee to help with the development of common protocols for the evolution of the World Wide Web. 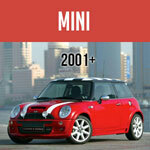 YAHOO is created in April, '94. 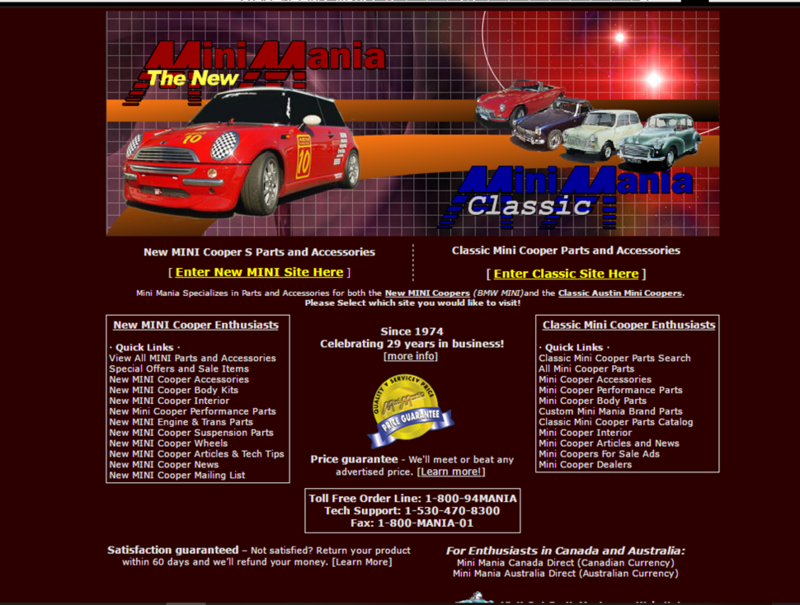 1996 Mini Mania introduces its first website! 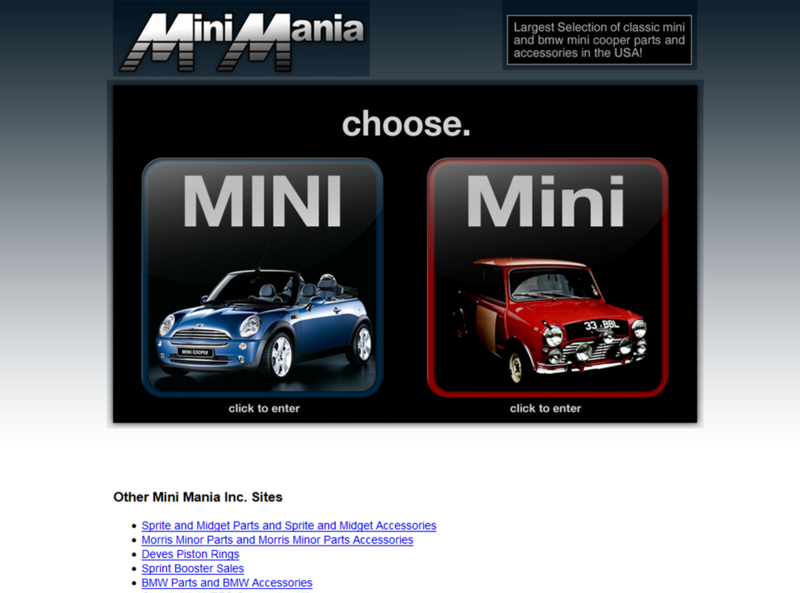 2006 MiniMania.com celebrates 10 years of internet sales. 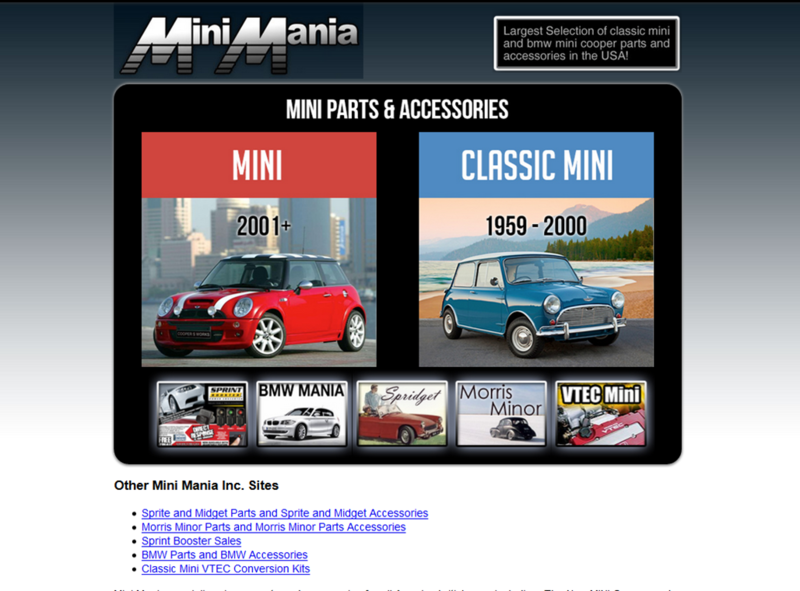 2016 MiniMania.com celebrates 20 years of internet sales. 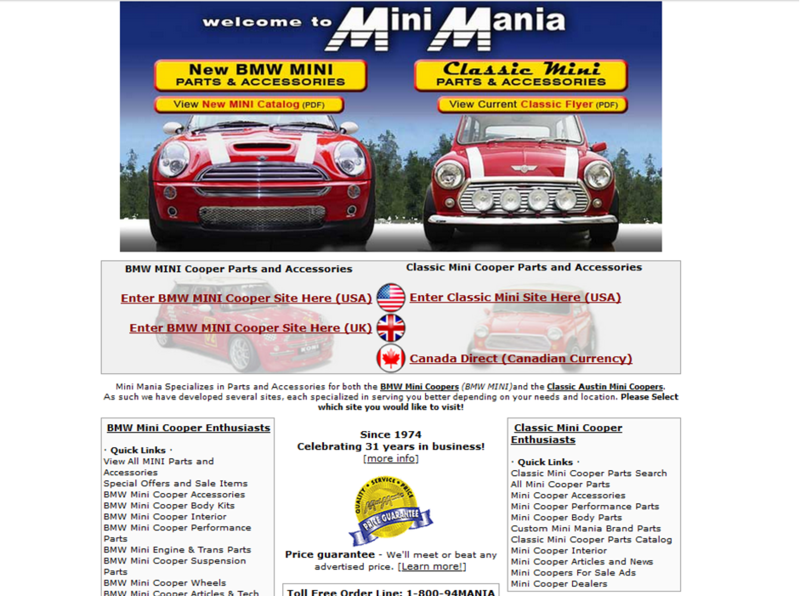 You can take a trip back in time! 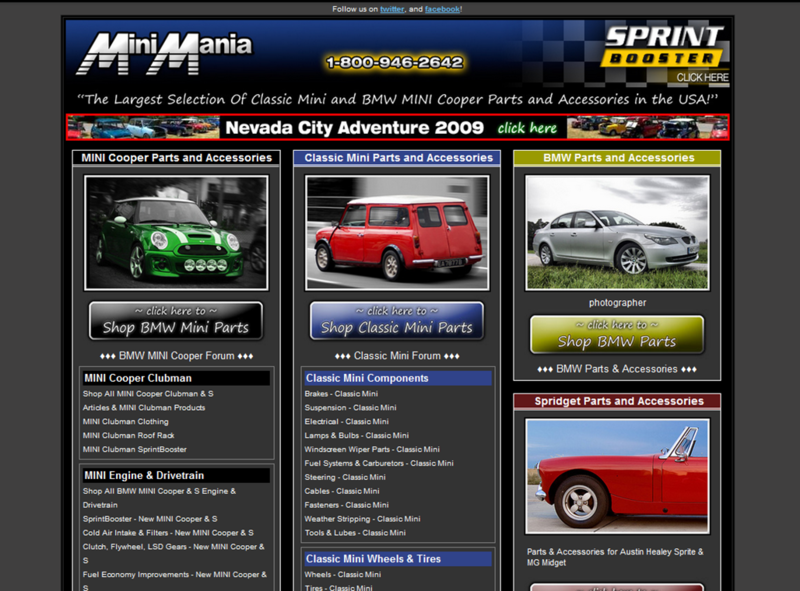 Check out these time capsule-like snapshots of the website, and its changes through the years.. 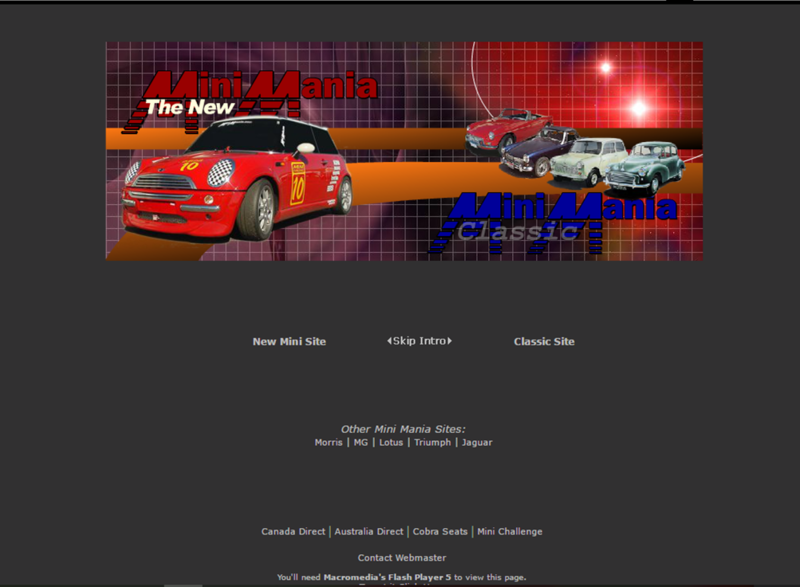 In this video is Don is talking about starting Mini Mania, the cars, racing, why he is so passionate about it and what they do today. 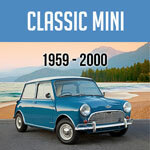 If you love Minis or just love to hear a real car guy talk about his passion, you'll love this video.